FC Bayern deliberately chose an approach with former players. But now the club has to admit that this path has failed. A comment. Where did the face go? This club has experienced everything in its long history. If you compare the current situation with 2008 or even 1994, everything puts itself a little into perspective. And yet everything feels so unnecessary. Precisely because the mentioned comparisons looked like a creeping process that could have been foreseen. In 2016, however, hardly anyone would have expected this highly professional club to lose face in just two years. A face that was characterized by a good mixture of insiders (Rummenigge, Hopfner) and external, competent employees (Sammer, Reschke, Guardiola). A calm, serene and down-to-earth image characterised this period. However, with Uli Hoeneß’s return, this changed more and more. Rummenigge already failed earlier with Ancelotti as Guardiola substitute. All coach decisions since 2016 show that the club has made little of its own era. Coaches were hired during this era, as well as before and after, primarily because they could prove results or have an insider’s touch – ideally both. Van Gaal was chosen in 2009 because he is an uncomfortable guy who can make a difference. Maybe that was an exception. The fact that the bosses thought change was necessary was already shown by the decision in favour of Jürgen Klinsmann. Van Gaal probably also came because he surprisingly clearly became champion with Alkmaar. But his uncomfortable nature was also an important factor. Heynckes later came as a friend and Guardiola was as the best coach in the world – a no brainer. So you can say that these decisions were coincidental. And yet they were smart and perfectly suited to the time. They built something up. The club suddenly stood for something in football as well. Ancelotti and Kovač simply don’t fit into this line. While one can work best with teams at the zenith because he’s not known for the great development of players, the other is used to playing an underdog role. Workers’ football and the position of the outsider made Eintracht Frankfurt strong under Kovač. It seems, however, that names and recent successes were the most important factors here. The strategic eye was completely closed lfrom these decisions. Does this coach fit the squad? Does it fit the style of the last few years? It seemed as if questions like these didn’t matter. Already last year, I was at the same point with Ancelotti. A completely desolate team presented itself in Paris. From today’s perspective, the Heynckes rescue is not just positive. Although the triple coach also had big problems, the completely wrong conclusions were drawn from the successes. The team still seemed to have it. So instead of trying to find a coach for the future and looking for young players for key positions and those same coaches, they remained cautious and wrongly hoped that Heynckes would make another year and everything else would turn out fine. Nagelsmann and Tuchel were both passed up. One may think of Tuchel as whatever one wants. But perhaps he would have been the uncomfortable van Gaal, who would have initiated an important path with unpopular decisions. It is not guaranteed that Nagelsmann and Tuchel would have been successful. Perhaps they too would have failed because of the squad structure. But they are tactically on a much higher level than Kovač and known as coaches who make courageous decisions. Because Kovač is not strong in that field either. He dares too little. There are no changes. Neither from the own youth, nor tactically on the pitch. Even against relegation candidates like Fortuna Duesseldorf he sends rather the signal to bring a 3:2 over time than to radiate self-confidence. It is a similar problem that prevailed under Ancelotti. Adaptations and changes are completely lacking. Now the squad can justifiably be cited as an argument – when it comes to the games at a high level. It’s impossible to blame an old squad for the team’s inability to take three points in a home match against Augsburg, Freiburg and Düsseldorf. Last season these players became champions by a large margin and a few months later they can no longer play football? Arjen Robben summed it up in a conversation with us. There is a bit missing everywhere and that’s why it doesn’t work. The fact that it doesn’t fit in the passing game, the ball circulation, the position play and the counter-pressing is inevitably due to the coaching team. And yet Kovač is not solely responsible. It’s not his fault that Hoeneß put him in the light of a C solution from the start after Heynckes cancelled and other coaches were no longer available. He can’t help it that the bosses didn’t take into account that a coach unfamiliar with the game might have enough to do with establishing a system that works. That he won’t still be able to deal with aging key players. Kovač was relatively successful at Frankfurt. But even then there were no signs that he could train a permanent favourite. The SGE always had problems under him when it needed control in midfield. Nevertheless, the bosses opted for the Mia san Mia. With Salihamidžić this is similar. He came after Lahm, Kahn and Eberl were eliminated or rejected as options. He, too, was a B or C solution even before his term of office began. If he seemed to be very meticulous and motivated in the beginning, this impression has now completely vanished. Salihamidžić doesn’t play a role at all any more just now, where the FC Bayern could use one like Sammer the most. He hides behind the big bosses, seems more insecure than ever in his few interviews and has acted as flawedly as his superiors in the summer. While Kovač has already failed, Salihamidžić will probably stay a few days longer at FC Bayern. But already now it is foreseeable that also this Hoeneß personnel is not future-proof. 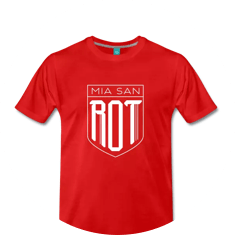 Hoeneß wanted to anchor the Mia san Mia more firmly again. He failed with it. The competence in the two most important positions around the team has been reduced and a squad planner, who gives the coach and sports director good tools, is apparently missing. That was clear when they lost in Paris in 2017 at the latest. The club didn’t learn anything from that. He has swept it under the carpet and is now paying the high bill. Now, for the second time, they are in a position where only one season’s rescue is possible. And when it comes to upheaval, you’re once again not a step ahead. Hoeneß will probably survive all this unscathed. Because he is Uli Hoeneß. But he should now at least show greatness, stand by his mistakes and correct them as quickly as possible. Because what once distinguished Rummenigge and Hoeneß was their ability to influence undesirable developments in time. Rarely has this been more important than now. Good Guardiola .. oh! No .. he don’t bring us @#miasanmia to uefl victory! Only he goes to MC also big money in his pocket after he ruin everything in Munich with players he left! Why not he bring them with him to MC ! I don’t know why salihamuzic was there!